In its latest fraud ruling, the TTAB has addressed the vexing issue of whether fraud is avoided if an applicant corrects a false statement as to the goods or services in a use-based application before the application is published. The panel majority ruled that amending an application to correct an erroneous identification of goods, prior to publication, creates a rebuttable presumption that the applicant did not commit fraud on the PTO. The panel also ruled that a genuine issue of material fact existed as to whether the statement of use was false. In a concurring/dissenting opinion, Judge Walsh expressed a much broader view. He would have granted summary judgment sua sponte to University Games because, in his view, timely correction of an error "before registration and before any actual or threatened challenge to the application/registration" [sic] should completely defeat any fraud claim. University Games Corp. v. 20Q.net Inc., 87 USPQ2d 1465 (TTAB 2008) [precedential]. University's original use-based application listed "Board games, t-shirts, and supporting promotional materials including videos and paper products." When the Examining Attorney objected to this identification of goods, in part because they fell in more than one class, University restricted the goods to just board games. 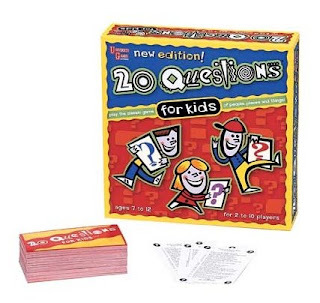 20Q.net seemed to learn through discovery that University had used the TWENTY QUESTION mark only on board games, and not on t-shirts or promotional materials, and it therefore cried "fraud!" University argued that its original identification was not false, because it had distributed t-shirts and promotional materials bearing the mark at trade fairs. The Board found that genuine issues of material fact existed regarding University 's intent to deceive. "As often stated by the Board, factual questions involving intent and goods faith are particularly unsuited to disposition on summary judgment." "the fact that Opposer amended its identification of goods during ex parte prosecution constitutes [sic] a rebuttable presumption that opposer lacked the willful intent to deceive the Office." The Board cited its dictum in Hurley Int'l LLC v. Volta, 82 USPQ2d 1339 (TTAB 2007), which in turn cited Universal Overall Co. v. Stonecutter Mills Corp., 154 USPQ 104 (CCPA 1967), for the proposition that a misstatement as to goods and services does not rise to the level of fraud if amended prior to publication. Here, the Board found a "genuine issue of material fact as to the nature of the use registrant made of its mark on t-shirts and promotional materials prior to filing its application to register." Even assuming such use was insufficient, "applicant has failed to adduce facts .. that rebut the presumption of no intent to commit fraud in view of registrant's amendment of its application during examination ...."
"I would find for opposer because, before registration and before any actual or threatened challenge to the application/registration, opposer amended its application to correct the false statement regarding opposer's goods. *** In my view, such corrective action should preclude a fraud claim: (1) because the action effectively negated the intent to establish fraud, and (2) because the allegedly false statement, once deleted, was not material to the Office's later approval of the application. This approach is not only consistent with the Board's longstanding policy disfavoring fraud claims, but it provides greater clarity and certainty for applicants and registrants. It would also encourage applicant to correct errors promptly. It provides a bright line and a safe harbor for applicants who are proactive in correcting errors." Judge Walsh found this approach to be a logical extension of Universal Overall to cover both use-based applications and ITU applications, as long as correction is made prior to registration or any challenge to the pending application. TTABlog comment: The Universal Overall case is not one in which an applicant listed five goods but had actually used the mark on fewer than five. It was a case in which, at the request of the Examining Attorney and in light of the specimens of use, the applicant amended the goods from clothing to textile fabrics. In other words, the goods had merely been "misstated" or misdescribed. Thus in neither Universal Overall nor this case did the applicant fail to use the mark at all on some of the listed goods. The Board's use of Universal Overall as a springboard to some broader ruling on whether any erroneous statement in an application may be corrected prior publication to avoid fraud, is a jump in logic that deserves serious scrutiny. Oh, and by the way, that verification that the applicant must sign when filing a use-based application? Don't worry about it. It's probably not all that important anyway. Wouldn't it make more sense to require the applicant to come forward with an explanation for the "error" in its verification, rather than presume that the error was innocent? [Here, and in Universal Overall, there was an explanation for the error.] That would at least provide an incentive to the applicant to get it right the first time.